May | 2018 | Histastrophe! 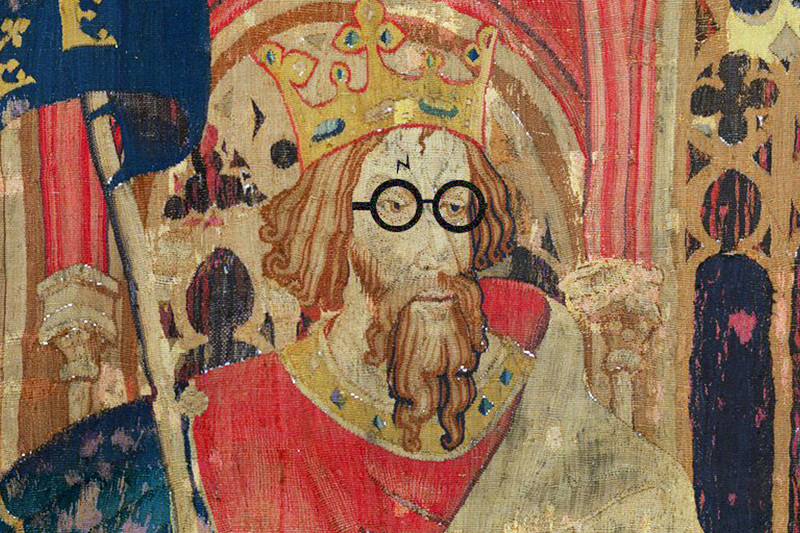 This week’s History Around the Web brings us some Boy Who Lived mixed with King Arthur, Anne Frank’s newly discovered ‘naughty’ pages, Royal Wedding humor, and more! It almost seems like it’s a prerequisite to be both a French King and histrionic in death. I mean, when hunting accidents, executions, and bizarre gangrene infected limbs make-up the brunt of the company, it seems a bit cliche to just up and die of natural causes. If you’ve been following along with my blog, I’ve already turned the embarrassing way he met his end into a punchline. But for those who are new, come on in (but please, watch your head) and listen to the tale. History is happening every day and new things are constantly being discovered or, as is the case with this blog, revisited. I’ve stated as a goal when starting Histastrophe! years ago that not only did I want to focus on learning more about history myself, but that I wanted to find an audience that I could discuss my passion for when it came to things long dead and gone. I’ve been trying to think of ways to better engage my visitors and what better way than to provide a weekly curation of the goings on in the history world? Every week I want to give an internet round-up of the discussions, discoveries, controversies, or hilarity that is happening in the world of history (or that have piqued my attention!). I feel as if we few with a love of the past are sometimes living on the fringe as far as interests and hobbies go, but if doing this can help keep us all engaged and up-to-date with current History things, I feel like it’d be worth it. Aside from the obvious pillaging, trinket burying, and severe lack of lemons–nothing apart from a flag adorned with skull and crossbones could fill the popular mythos of pirates as effectively as a passionate love of Rum. But where did the idea come from and how many daiquiris could they possibly have been guzzling while terrorizing the high seas? Before we set our coordinates and dive in on the history of rum and pirates thing, I want to briefly touch on what, specifically, rum is. Don’t laugh, I’m sure most of us chug whatever giggle juice we can find without much thought to where it came from. And, in this case, the distillation of rum is insanely relevant to what I’m about to get into in this post. So, for those who don’t really know what’s in their piña colada, rum is distilled from sugarcane by-products, specifically in this case, molasses. And, historically, where could you find an over abundance of molasses from 1650-1730 AD along with pirates? The Caribbean, baby.